I’m thrilled to have Andrea on The Ball today for this fun interview where we get to know the person behind the writing a bit more (two spoilers: she’s a new mom & she used to work at Walgreens!) And don’t forget to leave a comment at the end to win a copy of IMAGINARY THINGS — the inventive story of a young single mother who discovers one summer she can see her four-year-old’s son overactive imagination. I adore Hermione Granger from the Harry Potter series. Some may consider her to be a know-it-all, but I say, bring it on! Girls shouldn’t have to hide their intelligence just to please others. And, coincidently, her smarts saves the day (and Harry and Ron’s lives) on several occasions throughout the series. I also love her humor, loyalty, and moral code; she’s such a great role model for girls. I’ve heard that J.K. Rowling based Hermione loosely on herself, which makes sense to me because she’s a brilliant author who I admire tremendously. I just gave birth to my first child, a beautiful, healthy daughter, on January 27th. She’s ten weeks old now and really getting into the smiley phase. Her wide, toothless grins and full-body wiggles fill me with a kind of joy that makes all my other so-called problems and stressors fly right out the window! I am, without a doubt, a morning person. I love the peacefulness of the early mornings, before other people are up and too many cars are on the road. I love walking my dog or driving to work and watching the sky brighten until eventually the sun bursts into view. What I love most though is the sense of hope and optimism I feel each morning as I start the day—that it’s a fresh start and something good is just around the corner. My dog, Maddy. She’s a fluffy little white Teddy Bear (a Shih Tzu Bichon mix), but you would think she was a dog from the streets the way she eats her breakfast and dinner. It takes approximately twenty seconds for her to down her entire dish of food, and then, the grand finale is this gigantic burp that she lets out about two minutes later. Not very ladylike for such a frou-frou little dog! In high school, I worked at Walgreens Pharmacy as a “cosmetician.” What was strange about that is I was a teenager who wore little to no makeup. Customers would come in and ask my opinion on different shades of lipstick, foundation, nail polish, hair color, etc. and I would just smile and nod and try to direct them as best I could, praying the whole time that I didn’t send them home with something truly atrocious. Worst of all, my uniform was this black cape smock-thingy that made me look like a pregnant witch. I was relieved when I could move to the photo department, where I got to develop 35 mm film, which was a lot more up my alley. 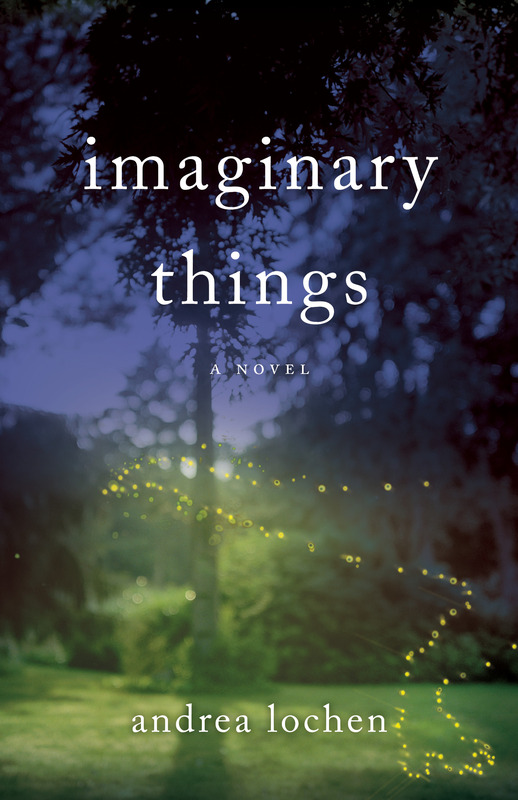 GIVEAWAY: Comment on this post by Noon (EST) on Friday, April 24th to win a copy of IMAGINARY THINGS (U.S. only). Follow The Debutante Ball on Facebook and Twitter for extra entries—just mention that you did so in your comments. We’ll choose and contact the winner on Friday. Good luck! Andrea Lochen is the author of two novels, Imaginary Things and The Repeat Year. She earned her Master of Fine Arts in Creative Writing from the University of Michigan in Ann Arbor and her Bachelor’s degree in English at the University of Wisconsin-Madison. Since 2008, she has taught undergraduate writing at the University of Wisconsin-Waukesha and was recently awarded the UW Colleges Chancellor’s Award for Excellence in Teaching. 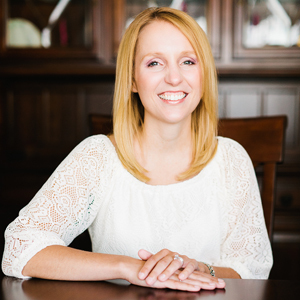 Andrea currently lives in Madison with her husband and daughter and is at work on her third novel. Find out more on her website and/or Facebook. I’m completely taken with the cover of IMAGINARY THINGS, too. Congratulations to Andrea on her new baby and book 🙂 My oldest son has the same birthday. Congrats on your baby so much joy .your book sounds wonderful.twitter Facebook follower. I’m guilty of judging a book by its cover. I can’t help it. The cover is beautiful! Congratulations on your new baby! Thank you for the opportunity to win the book. Congratulations and good luck with your new baby! What a wonderful idea for a book. I would love to see how it plays out. I follow on Twitter. First off, congratulations on the new baby! And I’m very jealous of Andrea! She lives in my favorite city! I lived in Madison for a few years, and grew up a stone’s throw away, in Janesville!